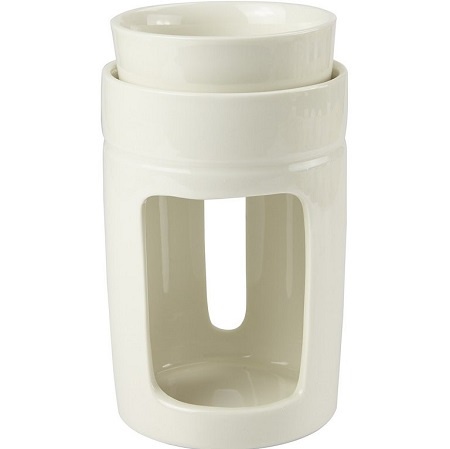 Black or white ceramic soy melt and oil burner, designed with separate dish to make it easy for cleaning. Once the soy melt is no longer releasing fragrance, simply tap the solidified soy wax out of the top dish. If there is any stickiness, use a blunt knife around the edge to loosen and try again. Our burner is the ideal design to use with our soy melts to maximum effect, giving the optimum burn time and scent throw. We recommend using with our 8 hour soy tea lights for a naturally long burning experience.